is a flexible, three-dimensional non woven abrasive material that provides an excellent surface finish. Due to its special structure, Mirlon is easy to use on profiled surfaces and creates an excellent base for the next lacquer layer. This quality non woven is suitable for use on Metal, Wood, GRP and Automotive finishing Industries. 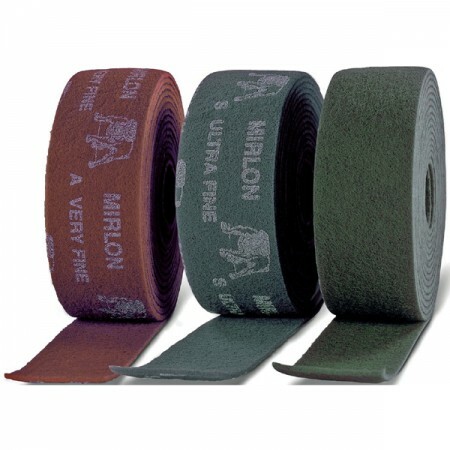 Mirlon is available in different coarse grits.